Cinderella located in southern Louisiana. Cinderella specializes in NEW construction and commercial cleaning. No job is too big! Our motto is "making relationships, and meeting deadlines." With 16 years of experience, continuously building you a better cleaning service. 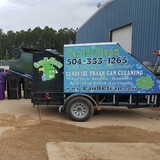 Locally-owned and veteran-operated trash can cleaning service in the Greater New Orleans Area. We clean, sanitize, and deodorize your trash cans with no mess left behind! Our processes are eco-friendly, using biodegradable products and without water waste. 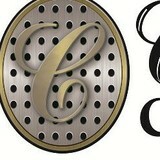 Can-B-Clean services residential and commercial clients on the Southshore and Northshore. In addition to curbside trash can cleaning services, we offer pressure washing, parking lot restriping and custom commercial dumpster cleaning services. 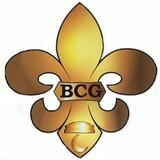 BCG Management LLC is a commercial cleaning contractor / janitorial service serving the Metairie, LA area. Services include Commercial Cleaning, Office Cleaning, Janitorial Services, Deep Cleaning Services, Porter Services and Retail Cleaning. Serving towns of New Orleans, Metairie, Slidell, Kenner, Marrero, Gretna, Harvey, Mandeville, Covington, Westwego, Chalmette, La Place, Destrehan, Belle Chasse, Luling, Violet, Lockport, Lacombe, Meraux, Arabi, Saint Bernard, Reserve, Saint Rose, Des Allemands, Madisonville, Lafitte, Norco, Hahnville, Edgard, Garyville, Braithwaite, Boutte, Paradis, Barataria, Ama, Gheens, Mount Airy, Larose, 9 Mile Point, Akers, Avondale, Bridge City, Carlisle, Elmwood, Harahan, Jefferson, Killona, Kraemer, Montz, New Sarpy, River Ridge and Terrytown. 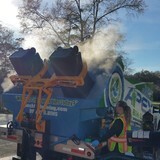 We specialize in trash can cleaning, using state of the art equipment. Combining years of experience with a dedication to client satisfaction, AB Cleaning has established itself as the local leader in Residential Cleaning, Scheduled Cleaning and Specialty Cleaning. We offer the best home cleaning services in New Orleans. Please contact us for all of your home cleaning needs! WE CAN CLEAN AND SANITIZE YOUR HOME AND/OR BUSINESS AT YOUR CONVENIENCE ON A REGULAR SCHEDULE OR EMERGENCY BASIS. WE OFFER COMPETITIVE RATES WITH FAMILY/PET FRIENDLY SERVICES! When it comes to Janitorial Service, Commercial cleaning and Housekeeping, no one compares to Lakeside Janitorial Inc. With years of combined experience, Lakeside Janitorial Inc. has worked hard to build the trust of our clients in New Orleans, Metairie, Westbank, and beyond. Visit our website to learn more. Or better yet, click the link and call us today! At Wilsons clean team, customer satisfaction is our goal. From cleaning the inside of your house to the start of your drive way, making sure your clean home brings a smile to your face is what we thrive to do. What should I expect from a house cleaner in Saint Benedict, LA? Most professional Saint Benedict house cleaning services will do the same tasks for a basic residential cleaning job: clearing dust and cobwebs from all surfaces and fixtures; wiping all surfaces, including sinks, tubs, counters mirrors; cleaning tile; vacuuming and mopping. You may want to have different rooms detailed at different times, so ask about doing a rotating schedule if you want them to pay extra attention to each space (like kitchens and bathrooms) every other cleaning. Some house cleaning companies in Saint Benedict, LA will also offer additional services such as window washing or appliance cleaning, so ask about incorporating them into your deal or doing them as a one time thing if you’re interested. Pick up any clutter (laundry, toys and other gadgets) and put pets in a secure spot so they feel safe and don’t get in the way of the Saint Benedict house cleaning company. Put out any specific cleaning products or tools you want used, and make sure to lock up any valuables that you don’t want disturbed. Most housekeeping services in Saint Benedict, LA will enter with a spare key or garage code, but if that isn’t something you’re comfortable with then you should arrange for them to come when you are home to let them in. Typically Saint Benedict house cleaners expect payment at the time of cleaning, so ensure you have the appropriate form of payment (cash, check or credit card) on hand, plus a little extra for tip if that’s your style and they do a great job. Find Saint Benedict house cleaning services on Houzz. Narrow your search in the Professionals section of the website to house cleaners in Saint Benedict, LA and contact local companies to ask questions and get quotes.